The complete first season of the Netflix series Maniac will debut online on September 21. 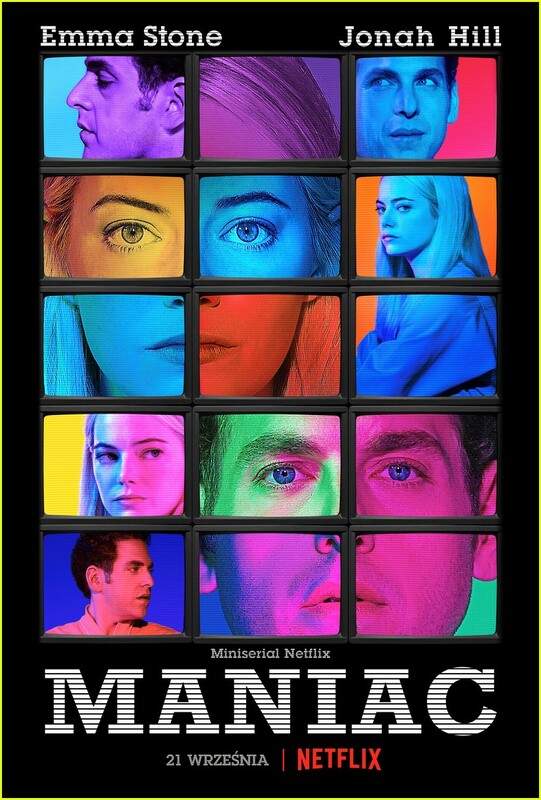 Set in a world somewhat like our world, in a time quite similar to our time, the series tells the stories of Annie Landsberg (Emma Stone) and Owen Milgrim (Jonah Hill), two strangers drawn to the late stages of a mysterious pharmaceutical trial, each for their own reasons. The cast includes Justin Theroux and Sally Field.